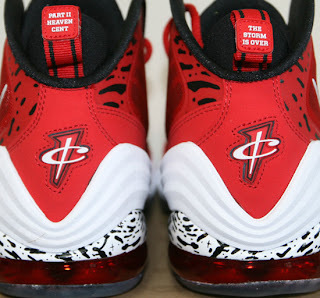 ajordanxi Your #1 Source For Sneaker Release Dates: Nike Air Penny V "Treadwell Eagles"
The Nike Air Penny V will officially debut tomorrow, Saturday, September 8th. First up is a limited release colorway nicknamed the "Treadwell Eagles." Inspired by Penny Hardaway's high school alma mater in Memphis, Tennessee the Treadwell Eagles. This red-based colorway features black and white accents sitting on an icy translucent outsole with a 3M reflective Swoosh on the sides. The phrases "Part II Heaven Cent" and, "The Storm Is Over" are found on the back heel tabs while "Ballin Is What I Was Born To Do" is found on the insoles. 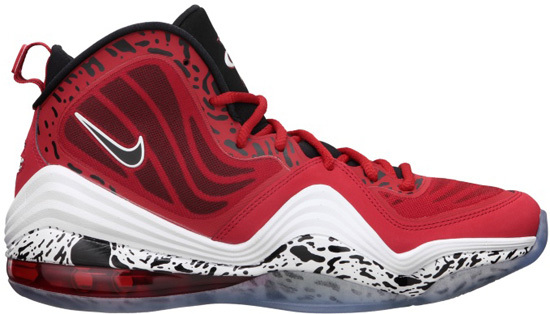 One of many colorways of the Nike Air Penny V set to release this year and into 2013, these will be available at select Nike accounts on September 8th in limited quantities retailing for $165. If you want to beat out the lines and get them now, grab a pair from eBay here.